Must be 18 years of age to rent. Must wear a helmet at all times. Can be as young as 12 years old but must be accompanied by a parent or gaurdian. Bikes must not be left unattended. Bikes are elligiable for all paths, trails, sidewaks and streets. E-Bike Rentals: Ages 12 and up solo/kids and tots ride along! 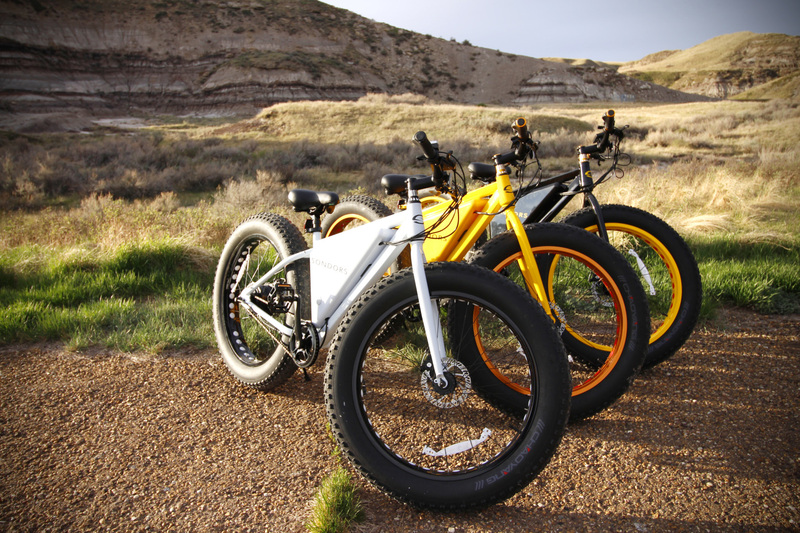 Red Deer River Adventure's and Drumheller E-Bikes have teamed up to offer a fun new way to explore the valley! Rent one of our Electric Assist Bikes and peddle or coast up and down the valley on our park trail system! ride at leisure or fly at 30 km/hr on our fat tire bikes and see everything in and around town! Add a trailer for the kids if they are under the age of 12 (limited to 2 bikes with trailers).